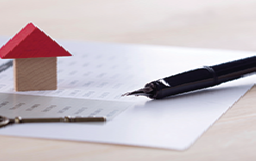 From 1st October 2018 you will need to use the prescribed Form 6a when serving notice for possession of an Assured Shorthold Tenancy REGARDLESS as to when the tenancy commenced. A requirement for this notice to be valid is for the agent to provide the tenant with prescribed documentation, these are: the How to Rent Guide, Gas Safety Record, an EPC as well as compliance with tenancy deposit protection (including the Prescribed Information). If applicable, the notice will also not be valid if the property requires an HMO licence and does not have one. Unfortunately there appears to be contradictory information between the Act and the Regulations regarding the prescribed documentation, also between the notes accompanying the Form 6a and the How to Rent guide. Until these issues are rectified by further Regulations it is best to err on the side of caution and provide the tenant with the latest version of the How to Rent guide before serving notice (in line with the Guide itself) and to ensure that tenants are in receipt of the other required documents including a current gas safety record.